Your rating only goes to 5 stars, when she went way beyond that. Knowledgeable, anxious to tell all she knows, and very outgoing. Could not have been a better tour or guide. I traveled to Paris with my two young daughters and we definitely enjoyed walking around the different neighborhoods and sites with Pamela, she gives very interesting facts, made it fun, and she was very flexible when my youngest needed breaks. She is very passionate and we got to see and understand this beautiful city. TOUR GUIDE RESPONSE: Gracias Veronica for your review!!! I am glad all of you could enjoy the tour, I hope to see you around here in the future! I just had the privilege of spending a week in Paris with my 3 adult daughters. Our full day we were guided through the streets of Paris by Pamela. What a treasure our day was! Pamela helped us soak in our customized tour by guiding us with ease. She went above and beyond giving us tips, teaching us to handle the metro, suggesting places to eat later, and even helping us fine tune our plans for the rest of our week. Pamela was fun, and informative. Book Pamela early and "voila " you will be delighted ! TOUR GUIDE RESPONSE: Thank you Carisa for your wonderful review!!! It was a pleasure to spend that day with you girls and hope to see you again soon! Pam did a fabulous job! She is an absolute delight and a joy to spend time with. She made Paris come alive for us, and hit all the points we wanted to see. She is extremely knowledgeable and easy to be with. I would definitely tour with her again. She is engaging, fun, and knows her way around Paris so well, that it is wonderful to see the city through her eyes. We had a wonderful time with her. TOUR GUIDE RESPONSE: Oh Barbara... Thank you so much for this wonderful comment!!! I am really happy that you enjoyed visiting Paris through my eyes and that I could fulfill your expectations. I hope to see you all again in the near future, Paris and my will be waiting for you! Pamela was the perfect tour guide! She customized the tour for us and was flexible with our time frame. She was the perfect guide to see Paris in a day! TOUR GUIDE RESPONSE: Thank you Breezy!!! Hope to see you the next time! We thoroughly enjoyed our tour of Old, Old Charming Paris!!! Merci beaucoup!!!! We have been to Paris so many times. But this was an exception. What a wonderful, education experience. Thanks to Pamela! Ask for her. She customized our trip. TOUR GUIDE RESPONSE: Hi Giny!! Lovely to meet you all guys, and I am glad I could make this visit to Paris a special one!! Thank you for your curiosity and interest in my beautiful city. Pamela is an excellent tour guide. She really knows her history of Paris and I thoroughly enjoyed my tour. I could not reccommend a friendlier or better tour guide! Pamela is an amazing and extremely knowledgeable guide. I was very lucky to have her as I was a solo traveler from the US. Touring with Pamela felt like I had a real friend in Paris. Enjoyed every moment together and getting around the city like a local, even using the metro. Highly recommend this tour and Pamela. I truly hope our paths cross again!! Pamela is the best guide. She is able to show you a different kind of Paris even if you've been there so many times. She goes above and beyond being a guide and you will enjoy her company as she is very knowledgeable and flexible on what you want. She gave good tips for what to do on our free days as well as suggestions on places to eat. She is the Best! Interesting and well paced tour. Pamela was a delight to spend several hours with. Pamela is extremely knowledgeable, helpful, punctual, very cheery and energetic. She additionally provided a lot of great guidance for our future days in Paris, which was very appreciated. We very much enjoyed our tour. TOUR GUIDE RESPONSE: Thank you Maria and Allan. I hope the rest of your trip worked just great! Pamela IS the consummate tour guide. I really can't begin to tell you how amazing it was to see Paris with her. I had a limited amount of time and a few special requests. Pamela picked me up from the airport and we immediately jumped on a bus and entered the city. As soon as we hit the city limits my history lesson began, not only is Pamela knowledgeable but she's also passionate about her city. I'm thankful for every inch i was able to enjoy on my layover. I don't think anyone could've done it BETTER. Pamela was amazing right from the first email exchanged! Tour surpassed expectations, thank you! TOUR GUIDE RESPONSE: Thank you Rhaysa! Lovely to meet you all and please tell Fran that everytime I go to the "Arc of happiness" I'll remember you and your passion for Napoleon!!! What a day! Thank you all!!! If I could give 6 stars I would! Pamela was better than we had hoped for from a tour guide. She came to our hotel and sat with us first to understand our objectives and timeframe for Paris.She then took us all over the city, and in doing so, provided tremendous history and insight to everything from architecture, to art, to myths and to the people of Paris. She brought us to the best viewing spots for all major attractions. There can be no better guide than Pamela.She completely customized our tour to us! TOUR GUIDE RESPONSE: Dear Penny and Jamie... THANK YOU for that amazing review!!! :D Missing you here... I hope you can find time to return soon! We loved her so much this was our second tour with her! I even offered to adopt her if her parents ever gave her up! She is HIGHLY recommended ! We nicknamed here the "Energizer Bunny" ! We loved her! she was so much fun and had so much passion and enthusiasm! She knew her stuff right off the top of her mind. If there was a higher rating than 5 star - that would be my rating! TOUR GUIDE RESPONSE: Thank you so much dear Bob!!! Pamela gave us a fun and informative bike tour of Paris. It was the day of the Tour de France and she navigated the city and adjusted our tour to accommodate the road blocks still including all of the spots as she had scheduled. My kids enjoyed listening to her and appreciated her knowledge of history. It was very easy to coordinate and communicate with her from the States and within Paris. Thank you Pamela for a memorable experience for our family! Excellent tour by Pamela -- she showed us so much in 3 hours, with a lot of history of Paris included. We stopped at key points in Paris to exit the car and explore the area with her while the driver waited. Overall, a very nice whirlwind tour of the Paris highlights for those without a lot of time to explore. We loved the tour with Pamela. She was great!!!! My kids said she was the best tour guide we had in Paris and the day we spent with her was their favorite day that week. I definitely recommend her Highlights Tour for a big picture of the city and its history on the first day! Excellent day and tour. Great history and Pamela hit the nail right on the head as to what exactly we wnated to do and accomplish. TOUR GUIDE RESPONSE: Thank you Paul!!! All the best to you Barbara, Steve and Jean!! I hope to see you around Paris soon!! Wonderful guide ~ Extremely informative!! My family booked Pamela for a week's worth of tours to see and learn about this beautiful city. Pamela was friendly, outgoing, very knowledgeable both about the City and it's history! We had amazing time, learned much and felt very welcomed, thank you, Pamela! Pamela was fantastic, she made my family feel very welcome here in Paris. This was very important to us as this is our first visit and her friendly and knowledgeable welcome put us at ease and was a great start to our vacation! Pamela was exceptional in every way! She worked with us to design a one-of-kind day, bike riding through Paris, seeing the famous sights and exploring the hidden gems. To make the day totally stress-free for us, Pamela met us at our ship and escorted us all the way back at the end of the day. Moreover, Pamela is so personable, positive, and likeable, our family felt like we had made a life-long friend after just one day with her. My advice to you: Book early! Don't hesitate! She's the best! Pamela is a wonderfully warm and charismatic guide who knows so many interesting facts about Paris and places to visit. We would highly recommend her to anyone wanting see the highlights of Paris both the well known and the secret spots known to the locals. We have fallen even more in love with this enchanting City and look forward to returning and discovering more with Pamela! TOUR GUIDE RESPONSE: Dear Cathy & Horst-Dieter, Thank you so much!!! I'll be waiting for you to return!!! Pamela is wonderful. She has a bright personality, and is very knowledge about all things Paris. She even managed to get my 3 teenage daughters interested in the history of Notre Dame. I highly recommend her as your guide through Paris! TOUR GUIDE RESPONSE: Thank you Ashley!!! I hope you had a great family time in Paris!! We just completed a short trip to Paris and had very little time to photograph the sites. We had a quick 3 hour tour with Pamela and she was great! She clearly knew the city well and was able to guide the driver in a way that we hit all the highlights on the list we had given her- plus she was fun and had a great sense of humor. She was easy going and very flexible and open to our desires. She also did us a HUGE favor and went the extra mile. You would be lucky to have her as a guide. TOUR GUIDE RESPONSE: Dear Richard and Amy, thank you very much for your review!!! I am glad that you enjoyed the tour and could take the pictures you wanted. I'll be looking forward to see one day the book ;) Hope to see you next time in Paris! TOUR GUIDE RESPONSE: Thank you Shobhit! So glad you keep such a beautiful memory from our tour!!! Thank you very much for your comment. Pamela was extremely accommodating and shared great facts with us about the city. We particularly enjoyed learning about the facade of Notre Dame. Pamela was energetic, young and very well versed on the history of her country and various sites (the Eiffel Tower, the Marais, the French Revolution, etc.). She was comfortable with dialoging back and forth about social and political issues affecting both our countries. She was attuned to our need to go a little more slowly and to sit, as in a park, for a few minutes here and there as we walked. We enjoyed her immensely and the fact that she inquired about our plans in Paris before designing our walk. TOUR GUIDE RESPONSE: Thank you Judy!!! So nice to hear from you!!! I hope that the rest of your visit was pleasant and you loved Paris. Thank you so much for your review!! All the best to both of you! Pamela has such a happy positive personality that our time flew by! She has such a love for Paris that it is infectious. Very engaging with our two teens and showed us so much more of Ile de Citie than Notre Dame. Even loved standing in line to enter as the pointed out so many details in the facade of the Cathedral. Highly recommended to book, use your time in Paris wisely to enjoy and learn! Pamela was excellent and adapted her tour to my son's interests about WWII. She gave us a real sense of Paris and I would highly recommend her. TOUR GUIDE RESPONSE: Thank you Nancy for your wonderful review! I am glad you enjoyed the time we spent together and learning about this great city. All the best to you and Jack and I hope to see you back here in the near future! Pamela was fantastic. She customized our tour based upon our request and her tutorial on the bus and metro system made our trip less stressful. Pamela was amazing! We couldn't have hoped for a better tour guide. As a family of three generations traveling together, she managed to keep all of us engaged for five full hours. My dad (who has Alzheimer's) and my daughter (who is 12) can both still answer questions about our tour. Although we are all totally lost on our own, I still gaze at the architecture all over Paris, fascinated by the lessons we learned with Pamela. Pamela was the best guide we could have hoped for! We were three generations of family traveling together, and she somehow managed to keep all of us engaged for 5 full hours. She was patient and accommodating, even changing our mode of transportation at the last minute. Pamela was an excellent guide and provided an outstanding tour. In a short 3 hour time frame, Pamela was able to conduct a tour that showed many of the famous landmarks in Paris. At the same time, the tour never felt rushed and was relaxed and enjoyable. Pamela was prepared with pictures, videos and a gave a very detailed historical perspective on every site that was visited. Stops included the Eiffel Tower, Notre Dame, Luxor Obelisk, Arc de Triomphe and much more! Tour provided by walking, bus, & subway. Pamela is such a warm, friendly, and wonderful guide! SO knowledgeable about all-things Paris! Would highly recommend her for ANY tour in Paris -- and will definitely use her again on our next trip! Beyond grateful to have toured with this amazingly knowledgeable woman. She strolled me around the remarkable city of Paris like a local just as I'd asked. As a young woman in a foreign city I've never been before, she made sure I was having fun and that I was comfortable, and gave every useful and fun facts and tips from how to look out for myself, use the old train station systems, to further suggestions of what to do after the tour and my remaining day in Paris. I wouldn't have it any other way, Merci! We have been to paris many times but I learned more on this tour than I ever have. This was one of my favorite tours. Pamela's knowledge surpassed by far my expectations. We biked through the whole city. The things I had never seen before! Highly recommended and would do it again. Very enthusiastic, spontaneous, inpictourable explanations during the Tour, very good knowledge of cultural hetitage. Very well prepared. Fluent in French en English. Everybody was pleased!!! Pamela was an awesome tour guide. She had great stories to tell, wonderful energy and she did a great job engaging my 11 and 14 year old kids. We enjoyed the half day tour and would definitely use Pamela again to tour other sites. Our tour of Paris with Pamela was incredible! She showed us everything we wanted to see (Eiffel Tower, Arc de Triomphe, Notre Dame, Montmartre, Louvre) and even more than we could have imagined (walk along the Seine, Moulin Rouge, etc)! She was so knowledgable and knew Paris so well. She had planned SO well for our visit including which Metro stops were closed due to construction and which form of transportation would be best for us between attractions. She was absolutely THE BEST and a highlight for us! Pamela was wonderful. She was very personable and knowledgeable. She was willing to do and go to what interested us or had things planned when we did not know what we wanted to d. I am so glad that we hired her to show us Paris. I will hire her again when I return. TOUR GUIDE RESPONSE: Hi Jane! Thank you very much for your review! :D It was really nice to show you my city and I truly hope to see you again soon!! I'll be waiting for you all and I'll have more fun new things to show you :) A bientôt!! Wonderful experience, so glad we did it! This is a truly a professional woman with offered a high energy approach to discovering Paris. My impression of the city was influenced by her tactical routing of our tour. The pre-tour briefing was military-grade and highly specific. I am amazed by the overwhelming devotion to providing as powerfully informative tour without any fatigue. I prefer to add more stars. Five stars seems insufficient. Her company hired a woman who could have led a combat patrol in Afghanistan. I was there. She was that good. Pamela was wonderful. She planned well for a 9 and an 11 year old, keeping them engaged and comfortable enough that they ended up walking through Paris on her arms instead of the parents and grandparents! Thank you for an amazing experience. TOUR GUIDE RESPONSE: Dear Jean!! It was an intense and wonderful time with you all, just loved to see Nyah and Quinn so engaged and all of you so enthusiastic! I hope your vacation was a complete success and that you consider coming back soon :D All the best to you and your beautiful family! Pamela is the best. My wife and I had a wonderful time. I highly recommend her to anyone looking for a tour guide in Paris. Again, I say that Pamela was a fantastic private tour guide. Friendly, informative, helpful, and fun! We would recommend her to anyone!! Special recognition needs to be extended to Ms. Pamela. She is one of your superior tour guides. She exudes the absolute best in outstanding planning and preparation for this tour. She ensured my experience and that of my guest were truly special. She exudes the ultimate in professionism, courteousness, kindness, efficiency and knowledge. I was impressed with her expertise. She took enormous pride in her job, greeting us with kindness, a smile and is incredibly gracious and wonderful. Pamela was AMAZING! I felt like we were friends by the end of our second day with her. She was a fantastic tour guide, gave tons of historical facts and info, was personable, wise and fun! We would recommend her to anyone! we walked, ate, and even rode bikes through Paris! TOUR GUIDE RESPONSE: Dear Jeannette and Dean, Thank you!!! Thank you so much!!! I hope to see you back here or in the USA soon! Pamela is an energetic and very knowledgeable tour guide. And a very likable and interesting person. She answered all our questions, had all sorts of other historical information regarding Notre Dame and Paris, kept the tour moving at a comfortable and good pace so we covered everything - and even helped with photos. Highly recommend. Pamela was a wealth of information in regards to recommendations, but especially the history of the area, the architecture, historic figures, changing of powers and how the city of Paris has become what it is today. So many stories to be heard and told and she did a wonderful job of sharing the city and her own experiences with us to make it an amazing day and to enhance the rest of our stay. Ask about the Cream puffs, chocolates, first cafe, cheese and wine, secret pathways to walk, and recommendations. We are 3 and, our tours (2 separate days), with Pamela were really wonderful. We explained in prior emails what we were looking for in a custom tour -- various sites/monuments but also food, wine and shopping and she delivered wonderfully. She was always on time and prepared. We were the ones always behind -- distracted by some beautiful site or shop and she was great to explain all and help us understand the history and significance. Highly recommend!! We had a wonderful walking tour of Paris with Pam. She has so much knowledge and passion for the area which made for a great day on our visit. Highly recommend! Pam is not a typical guide. She is an educated tourist and works hard to find information. She is not from Paris but now knows so much about Paris is her strength. I would recommend her to anyone who wants to enjoy the spirit of this wonderful city. Pamela was absolutely AMAZING! She was exactly what we needed and so wanted in a tour guide. She treated our young teenage daughters so very, very well. She helped us each step of the way and provided us with an incredible tour. I cannot imagine our family being happier than we were with Pamela and all she did to make our time in Paris an absolute delight. If she's available, book her! Wonderful guide-very friendly and knowledgeable! We had a very enjoyable day with Pamela and had an excellent history lesson. Pamela is a Fantastic lovely person who is full of stories and wonderful information. Her primary concern was to ensure we had a good time. Highly recommend asking for her for a range of different tours she runs. Its a very busy location @ Montmarte so be prepared. Lots of hills and potentially stairs to climb so wear comfortable clothing. Pamela worked with us before the trip to better understand what we hoped to see during our short stay. She then planned a whirlwind day of site seeing based on our interests. From meeting us at Gare du Nord to arranging for advance tickets to the Eiffel Tower, Pamela took care of us as though we were old friends. With every stop, she shared the history and interesting stories behind each site. Pamela was knowledgeable, enthusiastic, and engaging with my 11-year old daughter. For Paris, Pamela is the best! Pamela was awesome. We took a tour with another company and Pamela blew that tour guide away...she was super attentive to what we were looking to do, and we had 4 kids 15-9 in our group, which was a challenge in and of itself, but she commanded the kids' attention well. She also interspersed our tour with snacks (chocolate, cream puffs and wine (not for the kids :), which was awesome! Highly recommend Pamela as your tour guide. TOUR GUIDE RESPONSE: Hi Adam! Thank you so much for that lovely review... I am so glad you liked my tour, I loved to meet you and your family! Kids are a beautiful and wonderful challenge every time, and we were all kids once, we all enjoyed from the fun simple things, fun anecdotes and stories... it keeps me fresh and young to have the little ones joining too! :D I'd love to have you back around here soon!! Oh my....we loved our time with Pamela even though we had an awful time in Paris dealing with lost luggage and a lost cell phone, of which Pamela was more than helpful. If it wasn't for Pamela, we would've gone crazy. She was a great guide and calming influence, helping us with matters above and beyond the tours. Pamela was flexible, accommodating, knowledgeable and passionate. We spent 3 tours with Pamela and she was as good as it gets! I highly recommend all tours she offers!! Fantastic and personalized tour. Pamela has a ton of knowledge and presents everything in a fun and exciting way. We learned some history of the Notre Dame and even more valuable, Pamela gave us many inside tips and ideas about what to see and do during our week in Paris. It was a perfect way to start our trip and get a real foundation for understanding Paris. Pamela kept our two young teenage girls interested in the four hour tour and also took us places we would not have otherwise found. A great day! TOUR GUIDE RESPONSE: Hi Tim!! Thank you soon much for this great review! I am so happy I could help to make your Paris experience a special one! And of course that the girls think that... I am very touched. I'll definitively will send you a note when visiting S.D.! And hopefully we get to receive you on Paris again soon! Pamela was amazing...She is the best!!! Mi familia y yo tuvimos la oportunidad de visitar Paris el pasado verano y realizamos 2 toures privados en espanol con Pamela, y la verdad la pasamos genial. Ella es super dinamica, amable, super flexible, divertida y muy profesional. La recomindo 100%. The tour was amazing , but the best part was the tour guide Pamela!!! What a great experience!!! My kids (12 & 14) and I really enjoyed Pamela. She is very upbeat and has a pleasant personality. We had a very short time in Paris and were hoping to make the most of the time we had. TOUR GUIDE RESPONSE: Thank you Sandy! I hope you could do and see a lot more during the rest of your day... In anyway, Paris will always be here waiting for you. Pamela is a wonderful guide and you will enjoy any time spent with her. TOUR GUIDE RESPONSE: Thank you Scott & Francesca! I hope the rest of your trip is great!! Excellent Paris guide. Pamela was both professional and fun. She was great with our entire group, including the children. Truly thankful for her friendly help and expertise to start our Paris trip off on the right foot. Thank you Pamela! Great tour. Just what we wanted. Thanks so much! I would highly recommend Pamela for this tour or any of her other walking tours. She is enthusiastic about French history and brings that wonder to her tour. I particularly liked that she was flexible and willing to meet at our apt so we could walk through our neighborhood. She pointed out many things we would not have noticed that we were able to explore as a result. Well done, I would like to do this or a similar tour again with her. Pamela was a great tour guide. She is so knowledgeable and accommodating. She knew so much about Notre Dame, it was amazing. This was a great experience for a first time visit to Paris. Pamela is a wonderful tour guide. She not only regaled us with interesting Parisian anecdotes (ones that were interesting to our entire family - two adults and two children -ages 11 and 9), she also helped us structure our four-day itinerary. Based on our general wish list, she provided recommendations on where and when to go. She also gave us tips on particular food/pastry shops to visit - ones that might not be in a tour book, but are well known to locals. In short, her guidance was invaluable. Me, my husband and 2 daughters (ages 20 and 21) had a wonderful day exploring Notre Dame, Saint Chapelle and the small back streets of Paris with Pamela. Our tour with Pamela was by far our best day in Paris! She had a wealth of knowledge about Notre Dame and Paris. We would never have appreciated Notre Dame as much as we did without her expert guidance. Pamela's enthusiasm for Paris was contagious and we learned so much. I highly recommend a tour with Pamela. You will not be disappoint! Pamela was AMAZING!! We had a wonderful one day tour of Paris and could not be happier! I have used tour by locals several times and she is the best tour guide by far! She has a passion for Paris and its wonderful history. Her personality is so warm, engaging, and fun that we have also made a great new friend as well! I highly recommend her! Nobody can control the weather, but even on a rainy day, Pamela made our tour of Paris fun. 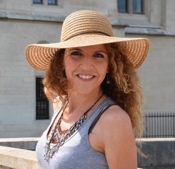 Friendly, fluent in english and knows Paris like a native!We recommend her highly!